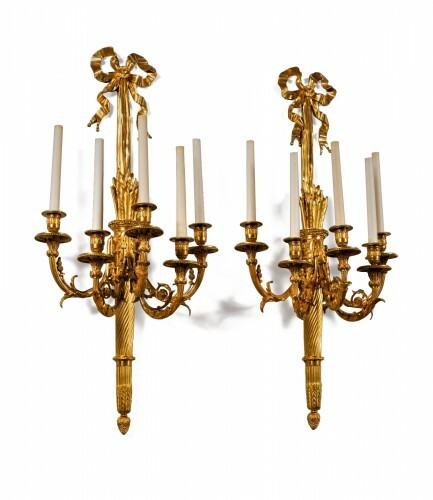 A pair of ormolu sconces, each surmonted by a classical ruban. 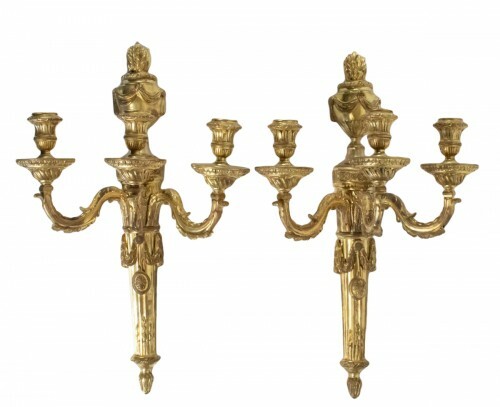 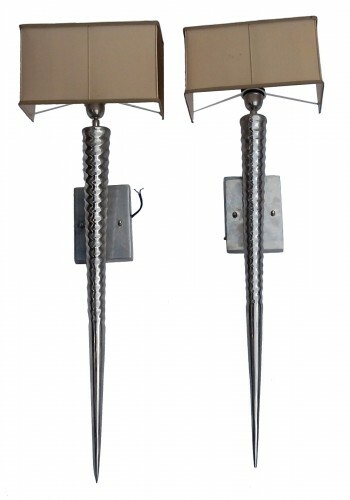 Each fluted backplate with a roman Emperor medallon supporting two candle branches. 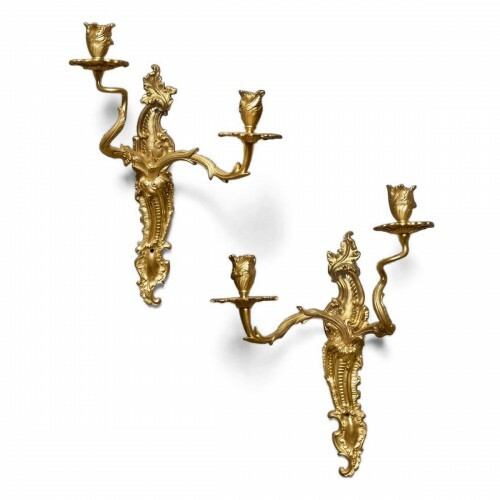 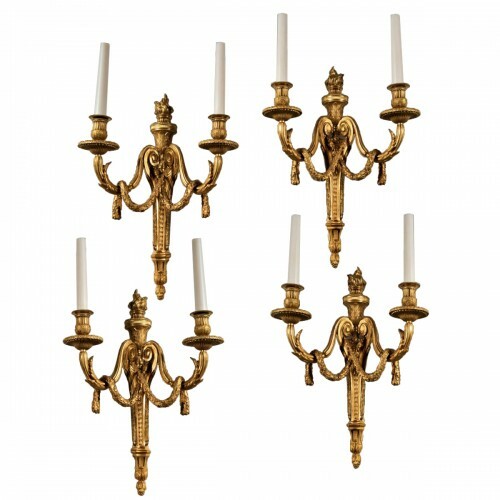 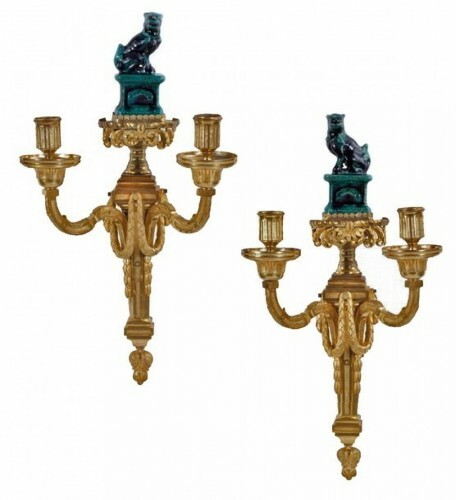 Both sconces are end of Louis XVI period, beginning of the XIXth century.